Birth of a Believer « It's a Kind of a Family. It's a Kind of Insanity. Below is another article in a series of blog entries I’ve written as a candidate for president of Red Sox Nation. This article originally appeared on my other blog at Crawdaddy Cove. attended some of the greatest regular season Red Sox games of them all. He was at Fenway for the Varitek-ARod fight followed by the Mueller walk-off vs. Mariano Rivera in 2004; he was there for the Mark Loretta walk-off home run vs. Seattle on Patriots Day in 2006; and he was there for the incredible six-run, ninth inning rally vs. Baltimore on Mother’s Day earlier this spring (Sox won, 6-5). He was also there for the 14-0 loss to the Braves in May. It was at this game that I realized he has become a FULLY EXPECTANT BELIEVER in the Red Sox. him if he wanted to head home. "No way, Daddy!" he said, insulted. the people sitting near us. with absolute seriousness, "Daddy, the Red Sox are winning this game." pensive as we walked out of Fenway. with two outs in the ninth inning, I just knew they were going to win." Then, he fell asleep. His earnest faith gave me goosebumps. 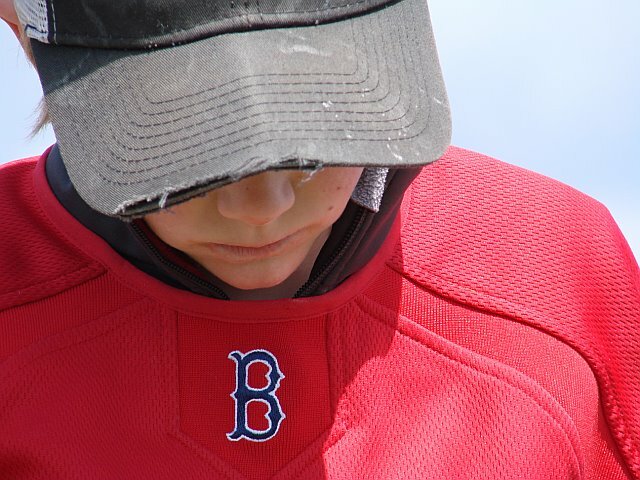 With an attitude like his, the future of Red Sox Nation is in excellent hands. I was at the first game of that Day / Night double header on May 20th…and the first game was a great Red Sox win….in the dreary damp weather. My husband and I have raised two wonderful Sox Fans, the oldest of whom graduated from URI on May 21st. We flew across the country, from New Mexico, to join my Dad (age 79) who drove up from North Carolina and my brother (who had a short hike up from southern RI) to see this wonderful team play in the best ball park in the world. Seeing the Sox was the highlight of our weekend – even with our son graduating with his BS in Engineering the next day! Good luck to you in your campaign!